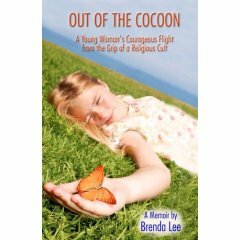 "Brenda emerges from her cocoon and struggles to take flight. As she tries to fit into society as a young adult, she learns some startling things about her family, this 'wicked world,' and herself. In time, she learns to forgive not only those who tormented her, but also the mother who disowned her." The Amazon.com online bookstore's data base lists the following books about the WTS. If a generic Amazon.com ad appears here, please click on your browser's refresh key. There seem to be relatively few WWW sites maintained by Jehovah's Witnesses. The group has apparently restricted Internet participation by its members (ref. Kingdom Ministry, 1995-SEP). The official web site of the Watch Tower Bible and Tract Society of Pennsylvania is at: http://jw.org Three earlier official web sites were consolidated into that site.